1 – Learn how to Prioritize. Priorities first, then Goals, then Strategies, then To-Dos, not the other way around. 2 – Learn how to Manage Yourself (not your Time). Really use your priorities (see Step 1) to guide how you allocate your most precious asset to all of the activities in your world. 3 – Own Your Niche. Figure out what it is that makes you special in the marketplace, your Unique Selling Proposition (USP), and teach it to your team, your customers and your prospects. Then take whatever scares people most about buying from your industry and Guarantee that it won’t happen when they buy from you! 4 – Know Your Numbers. Business is simply a big math game; all it takes is understanding the formula for generating revenue and profits. Ask me about the 5 Ways if you don’t know the formula. 5 – Build Your Culture. People are attracted to great team/business cultures. If you are not attracting the type of candidates you want, then look inside at the culture you have created and ask your self if you deserve the team members you seek. If you don’t, then start here. 6 – Get the Right Team. Build the culture, then build the team. Make sure everyone is in the right seat on your “bus”. Make sure everyone knows the expectations and build accountability systems to help them succeed. 7 – Hire a Coach. 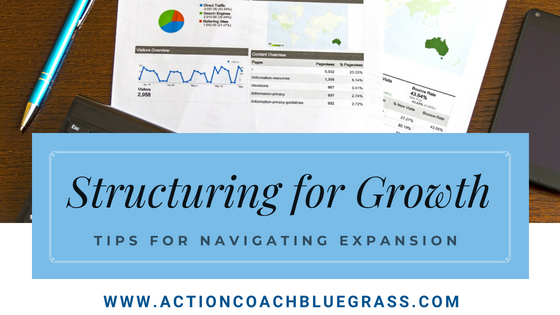 Business gets more complex every year, and the right coach helps you to Prioritize, Manage Yourself, Define your Greatness, Know Your Numbers, Build your Culture and Find the Best Team. You don’t need to do this by yourself; the greats never do, why should you?